Melt margarine in large nonstick skillet over medium heat. 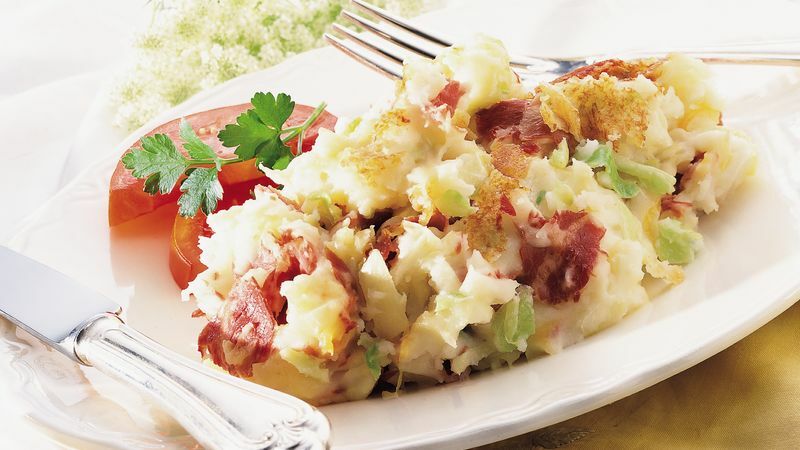 Add coleslaw blend and onion; cook 5 to 7 minutes or until crisp-tender, stirring occasionally. Add water, milk and salt. Bring to a boil. Remove from heat; stir in potato flakes until moistened. Add corned beef and cheese; mix well. Spread evenly in skillet. Return skillet to medium heat; cover and cook 8 to 10 minutes or until thoroughly heated and golden brown on bottom. If desired, invert onto serving plate; sprinkle with additional cheese.